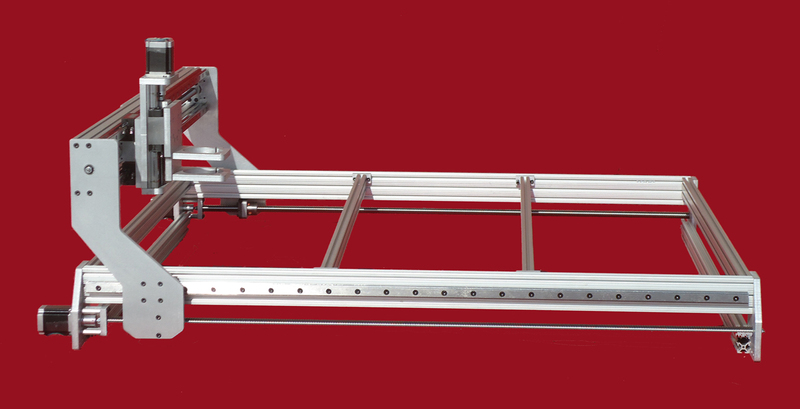 This large platform CNC machine is built for accuracy and precision; it’s capable of 2D and 3D cutting; and is machined from a combination of tough unyielding 6061 aluminum and precision aluminum extrusions. By placing high tolerance ball screws on either side of the outbound Y axis, instead of in the center of this larger machine’s work area prevents it from moving or flexing. The center braces can also be easily removed so a water table can be installed for plasma cutting. 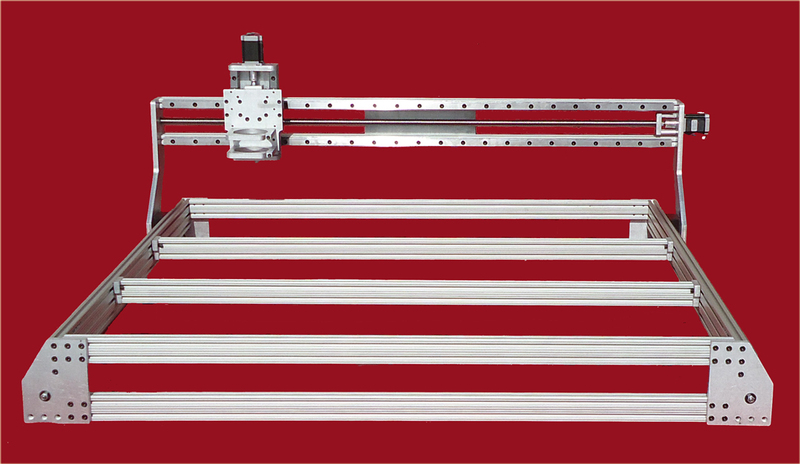 It’s able to be pushed harder and faster than the round rod linear bearing types.